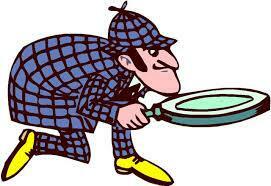 The Free Library is exploring the history and art of the mystery with We the Detectives, a unique, multifaceted, and immersive intellectual and creative experience. Here we track the growth of this fan-favorite genre—now one of the most popular for young and old readers alike. Widely considered to be the first story of its kind, Edgar Allan Poe’s “The Murders in the Rue Morgue” is published in Philadelphia. Check out pages from the manuscript in person at the Rare Book Department’s Becoming the Detective: The Making of a Genre and the Rosenbach’s Clever Criminals and Daring Detectives! Sherlock Holmes makes his debut in Sir Arthur Conan Doyle’s “A Study in Scarlet,” ushering in the golden age of mysteries. Dame Agatha Christie publishes The Mysterious Affair at Styles, her first of more than 80 cozy mysteries that follow the exploits of Belgian sleuth Hercule Poirot and crime-solving spinster Jane Marple, among others. Also in 1920, pulp magazine Black Mask launches in the United States, which catapaults the careers of hardboiled mystery writers Dashiell Hammett, Raymond Chandler, and Erle Stanley Gardner. Young readers get in on the game with the start of the popular series The Hardy Boys, created by Edward Stratemeyer and published under the pseudonym Franklin W. Dixon. Nancy Drew—also a creation of Stratemeyer—solves her first case in 1930. Ellery Queen—the pen name of cousins and co-writers Manfred B. Lee and Frederic Dannay—publish The Roman Hat Mystery and go on to write more than 30 books over the next four decades. 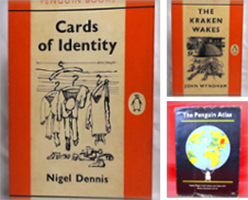 London publisher Allen Lane begins publishing paperback books called “Penguins.” Mystery novels skyrocket in popularity due to this new affordable and accessible format. Across the pond in New York City, Simon & Schuster starts the paperback “Pocket Books” line in 1939. It was Professor Plum in the conservatory with the knife! 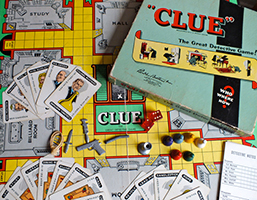 The board game Clue launches, inspiring kitchen-table sleuths worldwide. “Bond. James Bond.” The notorious spy introduces himself to the world in Ian Fleming’s Casino Royale. Perry Mason first appears on television, perhaps the most enduring of the detectives who make the leap from page to screen throughout this post-war decade. P.D. James debuts investigator and poet Adam Dalgliesh of New Scotland Yard in Cover Her Face. MI-6 spy David John Moore Cornwell (you may know him as John le Carré) publishes The Spy Who Came in from the Cold. After its success, le Carré chills out and retires from espionage to write full time. Zoinks! 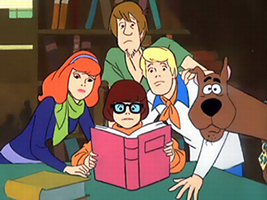 Scooby-Doo debuts, striking fear into the hearts of ramshackle amusement-park-owners-dressed-as-a-ghosts everywhere. Columbo, The Rockford Files, Kojak, Charlie’s Angels, The Mod Squad... need we say more? Also, James Patterson publishes his first of 147 (so far!) novels. On the page, Kinsey Millhone, Sue Grafton’s famous private investigator, starts working her way through the alphabet with A is for Alibi. She’s still cracking on to this day, having made it to X in 2015. Onscreen, we meet Jessica Fletcher, a contemporary Miss Marple from Maine, in Murder, She Wrote. 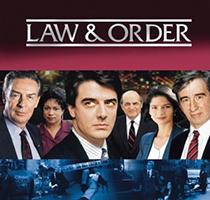 Dun dunnn... Law & Order premieres, kicking off two-and-a-half decades of spinoffs and cementing itself as a permanent TV fixture. Walter Mosley publishes the first of his famed Easy Rawlins mysteries, Devil in a Blue Dress. Published posthumously, Stieg Larsson’s The Girl with the Dragon Tattoo becomes an international bestseller. Veronica Mars, a high school student and private investigator, inspires a new generation of plucky, clever young women. Carrying the “hit-mysteries-with-girl-in-the-title” torch, Gillian Flynn’s Gone Girl becomes an international bestseller despite (because of?) its two very unlikable main characters. Benedict Cumberbatch breathes new life into Sir Arthur Conan Doyle’s beloved detective in the BBC hit Sherlock. Get clued in yourself! Visit the Rare Book Department’s Becoming the Detective: The Making of a Genre and the Rosenbach’s Clever Criminals and Daring Detectives—on view through September 1, 2017. Take a journey through the history of mystery!